The wine world is full of interesting debates. There are hundreds of arguments out there regarding how wine should be stored, how wine should be poured, what types of glasses one should use, what temperature it should be served at… the list goes on and on and on. Thankfully, many of these arguments exist for their own sake, and don’t make a huge amount of difference to the everyday wine drinker. However, some debates surrounding wine are a little more pertinent, and deserve our attention. One regular debate which seems to pop up time and time again regards refrigerating red wine. Indeed, in many countries (especially in central and eastern Europe), it’s not uncommon for red wines to be stored in fridges as standard, and served at the same temperature as one would usually serve white wine. Is this wrong? Does it make a difference? And what about red wines which have already been opened – should they be kept in the fridge in order to stay fresh? Let zzysh® take you through what you need to know! One of the most pervasive myths surrounding red wine (and there are many!) is that it should always be served at room temperature. This, despite what some people will insist, is incorrect. The misunderstanding comes from the fact that most red wines are in fact supposed to be served at ‘cellar temperature’, which is in fact a couple of degrees cooler than room temperature. The idea is that this is the optimum temperature for allowing the wine to ‘open up’ in the glass, and reveal all those lovely aromatic qualities and secondary and tertiary flavour notes. The problem with serving wine straight from the fridge is that cold temperatures have the effect of ‘flattening’ wine. Cold wines have hardly any aroma to them, simply because the character of the wine is being suppressed by the cold temperature. This will inhibit the release of the bouquet, and will also affect the way the wine is received by the palate. If you don’t believe us, just try it: take a sip of a cold red wine, and see if you can detect a full range of flavours and aromas. Wait half an hour or so for the wine to reach cellar temperature, and taste it again – you should be able to notice a radical difference! There are – of course – some interesting exceptions to this rule. There are plenty of red wines which can be perfectly delicious when served a couple of degrees below cellar temperature. Light bodied red wines, for example Pinot Noir or Sangiovese, can be delightful when served slightly chilled alongside food. Does refrigeration help preserve my wine? Sometimes it happens that we find ourselves with half a bottle of leftover wine after enjoying a glass or two. Naturally, we wouldn’t want to pour the remaining wine down the sink… so will it be ok if stuck in the fridge until the next time? Well, the answer is both ‘yes’ and ‘no’ in this case. If you’re planning to return to the wine later that day, or even a day or two afterwards, then sealing the bottle with a stopper or cork and putting it in the fridge should be absolutely fine. 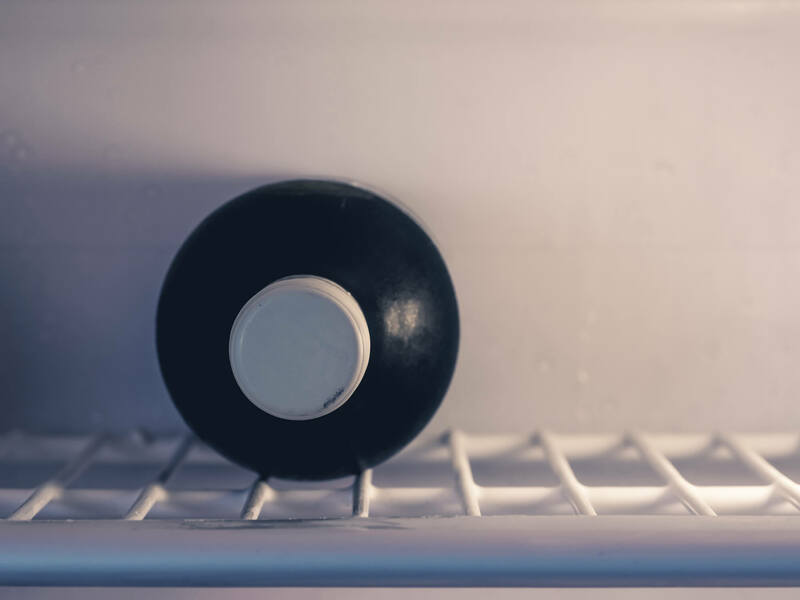 The cold and dark conditions inside your fridge will slow down the chemical reactions taking place inside your bottle, which cause the wine to go bad. This happens via a process known as oxidation; the air inside the bottle will react with the wine, causing it to flatten and go off after a couple of days. While your red wine will be fine for a couple of days in the fridge, this method is not suitable for preserving it for any greater length of time. Even when stored in a cold and dark place, the effects of oxidation will still be taking place. In fact, if you were to return to your wine after two days, while it would still be palatable, you’d surely notice a considerable difference to the body and character of the wine itself. If you’re looking to preserve your red wine for a longer period of time, you’ll need to address the oxidation process head on. The most effective way of storing and preserving your wine is with a preservation system, such as those produced by zzysh®. A zzysh® wine system stops oxidation in its tracks, by creating a protective atmosphere in the bottle not of oxygen, but of inert argon gas. 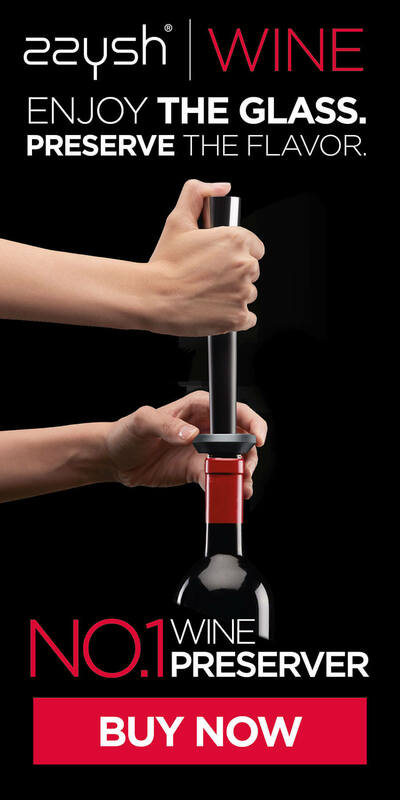 This forces the oxygen out of the bottle, and stops any air from having contact with the surface of your wine. The result? Completely fresh wine, even weeks after you’ve opened your bottle… and you won’t even have to keep it in the fridge! Become a wine expert with these tricks!